Here is a snap shot of a two door sale flyer. On side has a Full size and the other said is for DRW rangers. I'll get a good scan of it later. For now here's a photo. 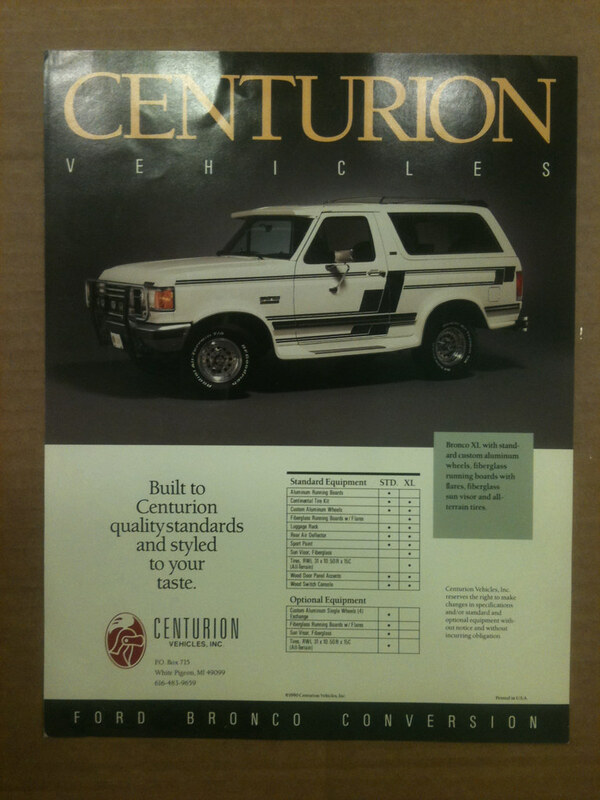 By Flatbedcowboy in forum Four Door Bronco, Centurion, Magnum Ect. By sg5790 in forum Four Door Bronco, Centurion, Magnum Ect.